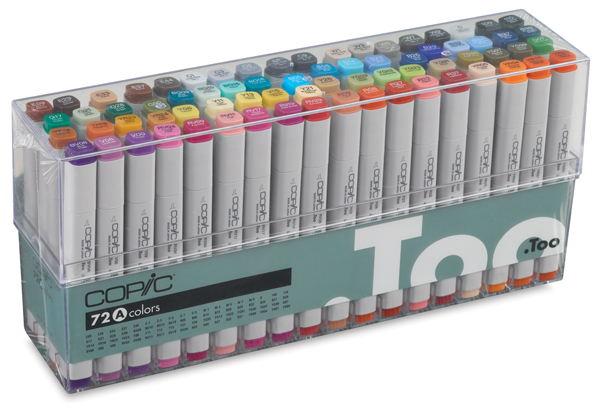 There's nothing like the Copic double-ended marker for expert blending, painting, and tone control. Use them for fine art projects, calligraphy, and more. The broad nib offers coverage for larger areas. For detailed work, flip over to the fine nib. Available in sets of 12, 36, and 72 colors. Basic set of 72 colors, offering a broad range of color and gray values.